It’s important that a business’s information appears—and appears correctly— when people search online. Research shows that 80% of consumers used a search engine when looking for information about local businesses.1 And, businesses that are online grow 40% faster and are twice as likely to create jobs.2 This brief tutorial explains the importance of creating or claiming your local business listing using Google My Business–a free tool for your business! 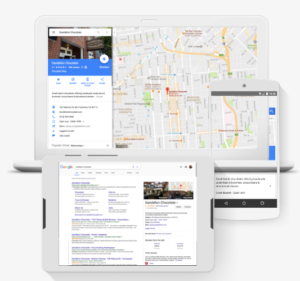 Once a business listing has been verified, you can manage your information as it appears across Google Search and Maps, and help potential customers find important information, including phone numbers, hours of operation, and driving directions. But just what is Google My Business? Creating a business listing helps you control the details Google displays, so they’re up-to-date and consistent across Search and Maps. It won’t guarantee that your business will appear in the search results, but it can help. Google My Business doesn’t replace a business website, but it can help your listing stand out in the search results and on the map, and send potential customers to your site. Businesses with storefronts open to customers—and those that meet with customers in local service areas—can appear on Google Maps. 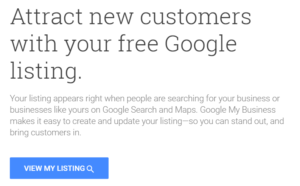 These listings help searchers find businesses nearby. Google Maps also considers other factors, like relevancy, distance, and prominence.Relevancy is how well a business listing matches a search. If your listing is detailed and up-to-date, Google is more likely to show it for relevant searches. 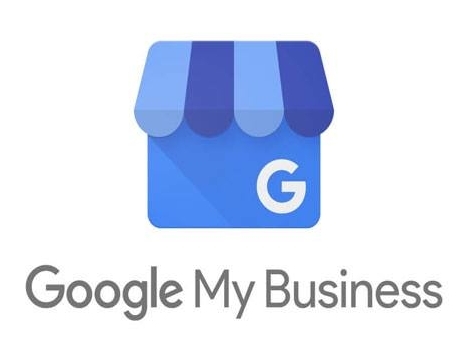 Google My Business makes it easy for your listing to appear on all devices. It works on computers, laptops, tablets and smartphones, so potential customers can find you, no matter how they get online. How do I get my Google My Business Listing verified? During the listing creation process (or in the verification process), Google will prompt you to “Verify Now” by one of several options. Most commonly is for the business owner to request a postcard. Within approximately 14 business days, you will receive a postcard with a PIN number on it that you will use to verify your business. The postcard will have specific instructions on how to update your listing. If you’re working with a GYBO partner, you may have access on an online expedited verification form, which processes your request electronically within 3-5 business days. As your GYBO partner, let me know if you need access to this form. 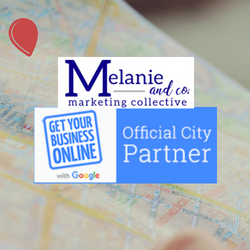 Want to learn more about Google My Business? Click here to get the latest updates. 1 The Consumer Barometer Survey, 2014/2015. 3 Google Data, Mar. 2016. I am trying to verify my business with Google my business but I cannot seem to find the appropriate category. I make deco mesh and grapevine wreaths but cannot find a category to cover anything like this. What are your suggestions? Hi Thelma! Good for you for getting your business online. Google My Business has limited categories, as you’ve discovered. I’ve helped other business owners in your industry with this process, and they typically use the category of “Home Goods Store.” I hope this helps!